Susan Barnes Whyte, Associate Professor and Library Director, reading The Librarian from the Black Lagoon, by Mike Thaler, with pictures by Jared Lee. 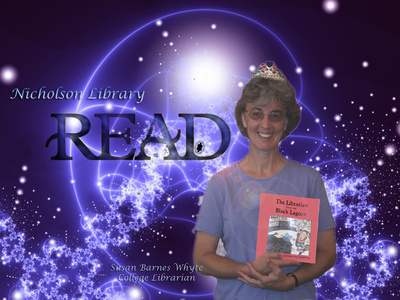 Terry, Paula and Nicholson Library Staff, "Susan Barnes Whyte READ Poster" (2007). READ Poster Gallery. Image. Submission 12.